How Much Could Brexit Cost UK Households? Britain’s Brexit divorce payment to the EU could double to £40bn, but how much could leaving Europe cost the average British family? The UK prime minister, Theresa May, has won backing from her Cabinet to pay more to leave the EU, with the proviso that European negotiators will agree to start trade talks. The British Government has not confirmed the new figure it is prepared to pay, but it is thought to be up to £40bn. While Mrs May is ready to pay more to exit Europe, what isn’t clear is how Brexit will affect individual UK household budgets. Before the referendum in June 2016, a UK Treasury report claimed that leaving the EU would cost individual households up to £4,300 a year – but this figure was criticised because it was estimated lost GDP per household, not household costs. A new report from the Centre for Economic Performance (CEP), a think tank based at the London School of Economics, claims the average household is already £404 a year worse off due to Brexit-induced price inflation. 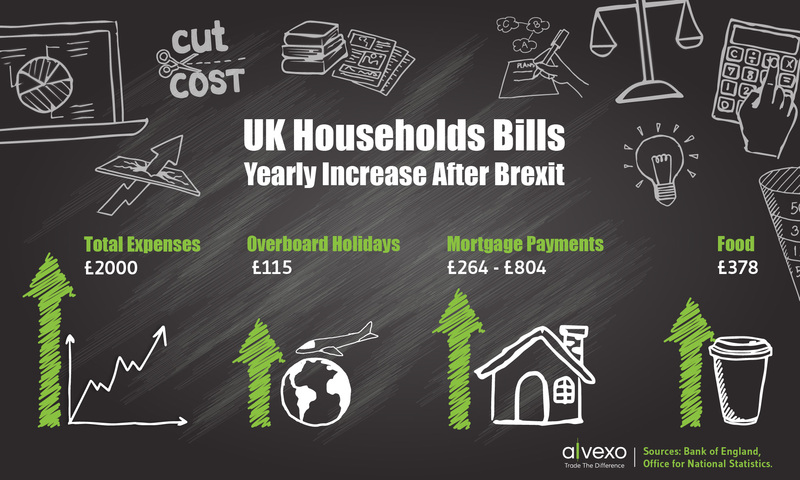 We take a look at some of the key potential costs or savings in the post-Brexit British household. British tourists have been some of Brexit’s first casualties. The weak pound, which has slumped since the vote to leave Europe, trading 10% lower against the dollar and 14% lower against the euro, has made holidays abroad more expensive. Back in May 2016, Brits would have got $70 or E90 more at the Bureau de Change for £500 of holiday money than they can get now. “The main financial effect of Brexit has been felt in the pound, though weaker sterling has pushed up inflation,” said Laith Khalaf, senior analyst at stockbroker Hargreaves Lansdown. 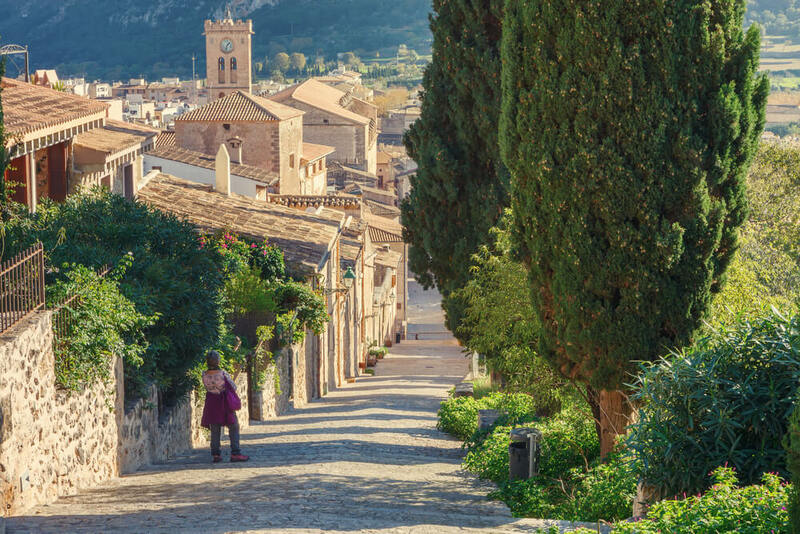 Over 2.5 million Brits visited Spain in 2016 but it’s about to become more expensive to do. Brits spend an average of £1,149 a year on holidays, according to data from the UK’s Office of National Statistics (ONS), meaning Brexit could already be costing them an estimated £115 extra a year. Brits are also paying more for everyday goods. In September the Consumer Prices Index hit 3% – its highest level for five years and 0.9% higher than wage growth – dipping slightly to 2.8% in October. The weak pound, which has made importing goods from abroad more expensive, and increased food prices are major factors. In October the inflation rate for food and non-alcoholic beverages hit 4.1%, the highest since 2013. How much will household expenses increase in the UK after Brexit? Researchers at the Centre for Economic Performance say the rising cost of imported goods, such as cheese, eggs, wine and furniture, has reduced real earnings by £448 a year. Shoppers in Wales, Northern Ireland and Scotland are the worst hit, according to the study, while wealthy London has weathered the price hikes. “Even before Brexit occurs, the increase in inflation caused by the Leave vote has already hurt UK households,” said Dr Thomas Sampson, co-author of the research. With crude oil priced in dollars, the weak pound has also hiked petrol prices for drivers and made it more expensive to transport goods around the country. Mark Carney, the Bank of England Governor, warned in September that lower migration to the UK following Brexit could mean even higher prices for British consumers, as well as higher interest rates. “Abrupt decreases in migration could result in shortages in some sectors that have become reliant on migrant labour, and contribute more materially to inflationary pressures,” he said in a speech to the International Monetary Fund (IMF) in Washington. And, according to KPMG, higher food tariffs could ensue if the UK fails to reach a new trade agreement with the EU. Research by the auditor in July found that the average price of the ingredients of a traditional British fried breakfast could increase by 12.8% under World Trade Organisation (WTO) tariffs, more than four times the UK rate of inflation. A 13% hike in food prices could add an estimated £378 to the average £2,954 yearly UK household food bill (ONS). It is unclear whether energy prices will also increase due to Brexit. Research by Which? suggests it could be unlikely as some of the UK’s major energy firms, such as EDF and Iberdrola-owned Scottish Power, are less affected by Brexit because they are foreign-owned. However, Ian Dunt, author of Brexit: What the Hell Happens Now?, claims energy prices could soar if the UK leaves the European Atomic Energy Community and loses the legal right to operate its own nuclear plants. In his IMF speech Carney also warned that the need to make new trade agreements with the EU could mean job losses and lower incomes in the future. In November, the Bank of England raised interest rates by a quarter of a percent to 0.5% for the first time in a decade. While some commentators dubbed it a “gentle” increase, Carney admitted that pressure on economic growth from Brexit were behind the hike. The rate increase means that the average British homeowner, with a mortgage of £175,000, will see their yearly payments increase by £22 a month or £264 a year. However, City analysts suspect another two quarter of a percent rate hikes could be on the cards in 2018, which would add a further £67 a month – £804 a year to average mortgage payments. Savers might have been expecting some good news after the Bank of England hiked interest rates. However, rates on savings accounts have continued to fall. Recent research from Moneyfacts shows that many banks cut their variable rates in the weeks before the base rate hike, with easy access rates down 0.01%, and that many of them have been slow to pass the rate increase onto their customers. However, Brexit has meant good news for investors as the FTSE 100 has performed strongly since the referendum vote, recently hitting a new record high of 7,560. International London-quoted companies with earnings in foreign currencies have benefited from the weak pound. £100 invested in the FTSE 100 before the Brexit vote would have been worth £123 a year later. According to research by investment website True Potential Investor, the average FTSE 100 portfolio of £42,000 would have increased by 23% by £9,964 to £51,964 if it had remained invested through the period. “The performance of capital markets over the last year tells us that the financial effects of Brexit are about as predictable as the British weather,” said Khalaf. So, while Brexit could leave the average British family worse off to the tune of at least £2,009 a year, it’s possible this could be mitigated if they have a decent share portfolio invested in the FTSE 100 and it continues to outperform. For more updates follow Alvexo on our Facebook, LinkedIn and Twitter.